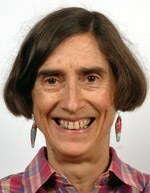 Dr Jean Finnegan has an international reputation for research in epigenetic regulation. Her major contributions include the cloning of the first plant DNA methyltransferase and the demonstration that DNA methylation is essential for normal plant development. This sparked a major interest in the role of DNA methylation in gene regulation during development and processes. She has made significant contributions to our understanding of the mechanisms of Polycomb-mediated gene repression through studies on the vernalization response in plants, including our major crop plants. Finnegan contributed to a research team that cloned and characterized the first fungal resistance gene in plants.